Include this Safavieh Courtyard area rug in your hallway, dining room, or living room dicor for a taste of modern style. Decorate the right way with this indoor/outdoor piece constructed from plush synthetic material. Keep this machine-made made rug in your home for a long time. Maintain your modern home aesthetic with this border patterned red rug. 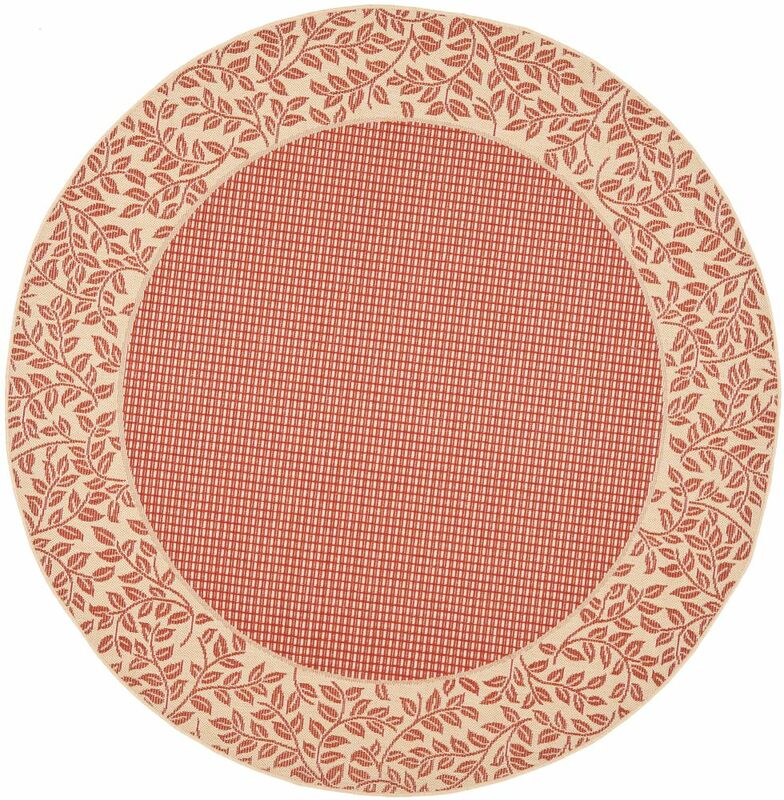 Courtyard May Red / Natural 5 ft. 3 inch x 5 ft. 3 inch Indoor/Outdoor Round Area Rug Include this Safavieh Courtyard area rug in your hallway, dining room, or living room dicor for a taste of modern style. Decorate the right way with this indoor/outdoor piece constructed from plush synthetic material. Keep this machine-made made rug in your home for a long time. Maintain your modern home aesthetic with this border patterned red rug.